The house is very eco friendly, and runs on solar to power the fridges, lights, hot water and other house hold appliances, and cooking is done on gas. The house is set a few metres back just from the beach in its own walled garden, making it secure & private. You will experience some amazing views over the ocean and some of the best sunrises and sunsets along the East African coast. All linen, towels, etc provided. The house is fully staffed with an excellent chef, housekeeper, gardener and night guard, and there is a caretaker who makes sure that everything is running smoothly. Large sitting & dining area as well as a large veranda outside for relaxing & outdoor meals overlooking the pool & gardens. 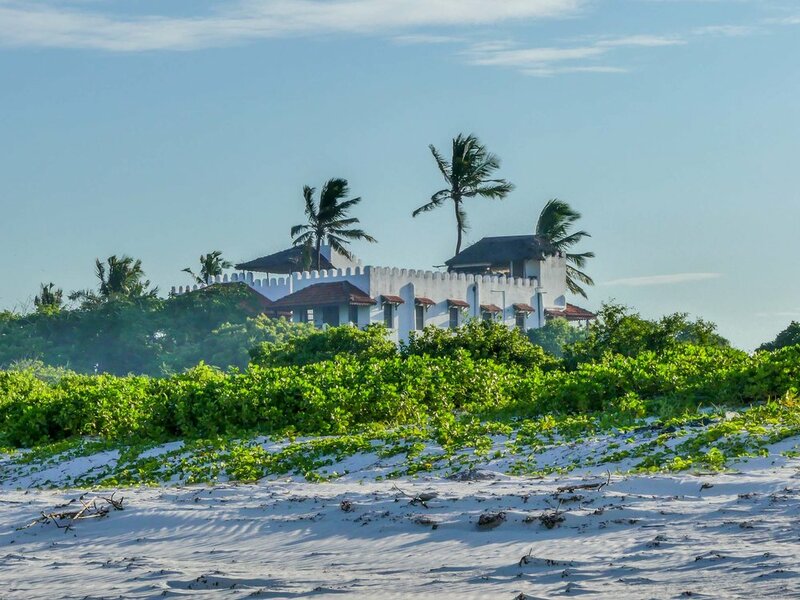 Amazing roof top, that is the best place for tea in the morning to watch the sunrise, sunbathe in private during the day and enjoy a sundowner looking out over the ocean at the bar in the evening. Moonrise is also spectacular from this spot. There is a also a Swahili styled corner up on the rooftop where you can relax and play music, cards or just have a few drinks. Salt water infinity pool at the centre of the plot, and from here there is direct access to the beach. Pets are more than welcome at the house to, so no need to leave them behind!